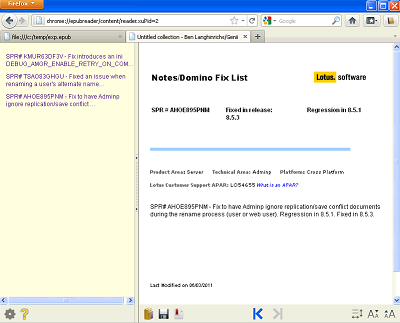 The Lotus Notes/Domino Fix List contains SPRs in various stages of the release process. I decided to use this database for a short demo of one possible use for the new GeniiRTCollection class and EPub generation. In the demo, I select certain SPR documents from the Fix List database and combine them into an EPUB file which could be sent to any mobile device that reads that format, such as an iPhone/iPad or Android device. While the Fix List database has a public web view, this demo is intended to show how you could encapsulate Notes data without the requirement for either a web view or Notes/Domino access for the recipient. EPub data is also served up in a flow-oriented stream so that it sizes well down to the smallest device, while the automatic Table of Contents feature allows a view-like approach to navigation of the documents. The GeniiCollection class is a feature of the yet-to-be released Midas Rich Text LSX 5.00, and changes may be made before release. Yesterday, I wrote about the new GeniiCollection class, but one of the examples I mentioned should get more attention. In the new version, the Midas Rich Text LSX will allow the creation of EPUB files. EPUB is the most widely used format for ebooks, readable by the Nook, the iPhone/iPad and most other mobile devices. I will go into much more depth about EPUB in future posts, as well as other formats for ebooks which Midas may generate, but today I thought I'd give a very simple example of the power of a customizable ebook. Obviously, an ebook generated from Notes documents would be customizable, but there are other ways. 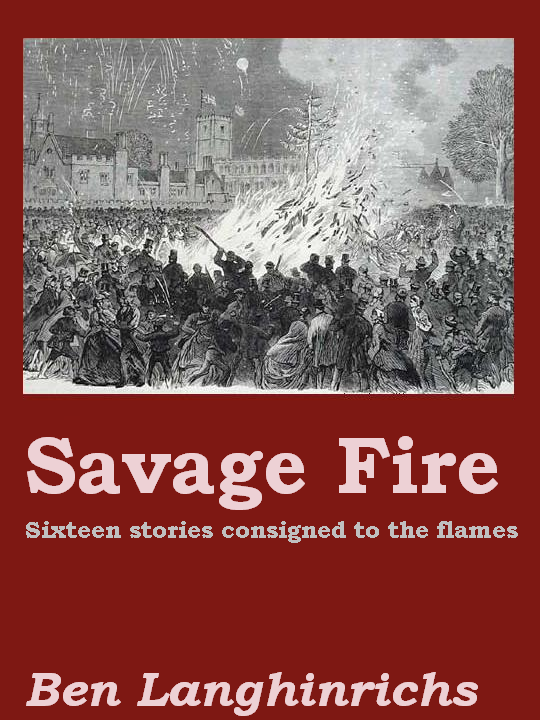 As many of you know, I have recently published a collection of short stories, Savage Fire. It is available on Amazon and elsewhere, and it is also available from my author website, http://www.BenLanghinrichs.net, but with a twist. From my site, you can pay by credit card and specify a format as well as a name, and the ebook will be personally dedicated to that person, whether it be you or somebody else. The dedication is built right into the cover page, as if the author had signed your ebook. If you want to see what this looks like, there's a post over on my author website called Does your ebook come with a personalized dedication? and you can even see the link on the right where you can order the personalized copy. Think about the power of being able to create an ebook, or any collection of rendered text and links, on the fly using LotusScript. It could be a sales report sent to the boss's iPhone, or a proposal customized with names from a client company, or simply a segment of a database sent to somebody without Notes. Dynamic and customizable with just a few lines of LotusScript. As I mentioned in my previous post, it has been 13 years since we have added a new class to the Midas Rich Text LSX, though obviously we have added many new methods and properties and feature sets. For our upcoming release, we are adding a new class which may seem at first to be underwhelming. Big whoop-di-doo, right? 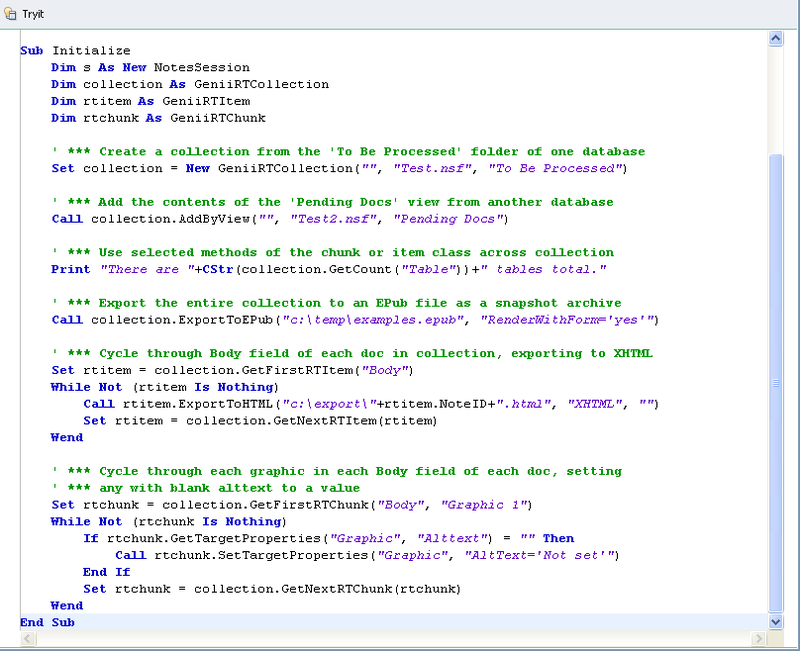 There is already a NotesDocumentCollection, and even a NotesNoteCollection, and we can cycle through those just fine. This is true, but the GeniiCollection allows for some interesting new tricks. In the script below, I show four different ways the GeniiCollection class can be useful, two of which involve acting on the entire collection together, and two which involve cycling through it in different ways. After thirteen years, we are adding a new class in our next version (coming shortly). Can you guess what it is? I will give one clue, which is to say it is not functionality-based like the GeniiRTComparison, but instead is another generalized class that could contain lots of methods and properties. 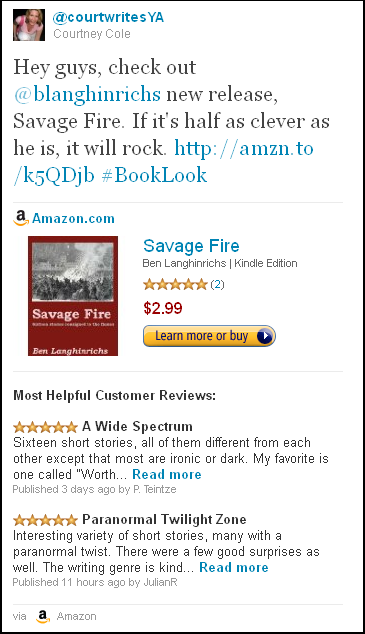 As many of you may know, I released a book last week called Savage Fire. It is available for $2.99 on Amazon and Smashwords, but this post isn't about the book. It's about social media and making your business work well with social media. The image to the right comes from Twitter. One of my followers/friends on Twitter tweeted the message on top. When I viewed the message in the standard Twitter client ("new Twitter" for those still on "old Twitter"), this is the sidebar that appeared. I was intrigued, because there is a lot to learn from this. 1) People on Twitter love links, but they may be a bit wary of shortened links which go somewhere unknown. Amazon has worked with bit.ly and other URL shorteners to make it easy to see that this is an Amazon link, just as Planet Lotus uses a known format so that people know when they are clicking on a Planet Lotus listed blog, and Youtube uses a known format. Using a regular bit.ly or other such link makes people who don't know you hesitate to click. Make it easy to recommend links that people will follow. 2) Amazon has worked hard to make books easy to buy. Whether they worked explicitly with Twitter or simply used the Twitter specs effectively, the link turned into a clean, well-designed advertisement. The advertisement has an image (people like images and videos). It shows user ratings, so that you can instantly see that the product has a 5 star average. It has snippets from reviews so that you can learn more about the product. All of this appears inside your Twitter client itself, so that you can decide if this is of interest without a single additional click. It also harnesses the power of crowds because most of the information is added by users (ratings and reviews). 3) The advertisement has a "Learn more or buy button." That wording is critical. Amazon wants to make it clear that you can follow the button without committing, which a "Buy now" button would say, but it also makes it clear that you will easily be able to buy the product from where you are going. Make it easy to learn more and easy to buy. 4) In general, people on Twitter follow links, but only when it has a payoff for them. They want to see a funny picture, watch a cool video, read a fascinating blog post. What they don't want to do is go to an advertisement. Yet, if you use the medium cleverly, you can make the payoff for them equivalent to the payoff for you. Book trailers are increasingly popular because they are often fun to watch, but also build interest in the book. Of course, for me as an author, the best bit about all this is that a) somebody recommended my book, b) the first people reviewing have given it five stars and said interesting things, and c) it is easy for people to see that the book is available, inexpensive and easy to get. 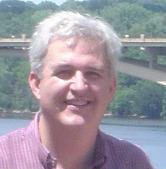 I am looking at ways to make buying my software products this easy and clean. This is for all those who have ever promised to buy me a beer at Lotusphere (I don't drink beer), or for those I owe a beer (I will get to it). I have the distinct pleasure of announcing the release of my first ebook, Savage Fire , a collection of short stories including horror, humor, thrills and chills, with the title story about Victorian zombies. What does that have to do with beer? First, it's about the cost of a cheap American beer in a slightly seedy bar, $2.99. Second, I'll do a drawing from the first ten people who buy the book and let me know, and the winner will get a $10 Amazon gift certificate, which would free up beer money for upgrading to a better quality of beer in a slightly less seedy bar. OK, so we've covered beer-money (spending/getting). We've covered book-release (I've added the cover below to whet your appetite). What about scavenger hunt? There is a well known couple in the Notes community who volunteered their names for use as characters in two different stories. Each person who buys the book and discovers their names (his full name is used, while only her first name is used) can send me a private email telling me which names and stories, and I'll mark you down for a free copy of my next short story collection, featuring more family-friendly content, called Rock the Monkey House, which will be coming out this summer. If you know who the people are, or are those people, don't tell!